Fractured Lands is a brand new, post-apocalyptic, battle royale game coming from developer Unbroken Studios (comprised of staff that previously worked on the Call of Duty, Medal of Honor and Battlefield series). The game will task players with gunning down their opposition and driving off into the sunset before getting murdered themselves. Your car, "is your lifeline, your greatest weapon, strongest armor," reads the Steam store listing and it seems the game will have a heavy focus on vehicular combat. The game will be launching in Early-Access at some point in July 2018, but you can currently sign-up to take part in the closed beta at the official website. The beta will run on the weekends of June 8, 22 and 29, though there isn't an indicator of how many codes will be available. 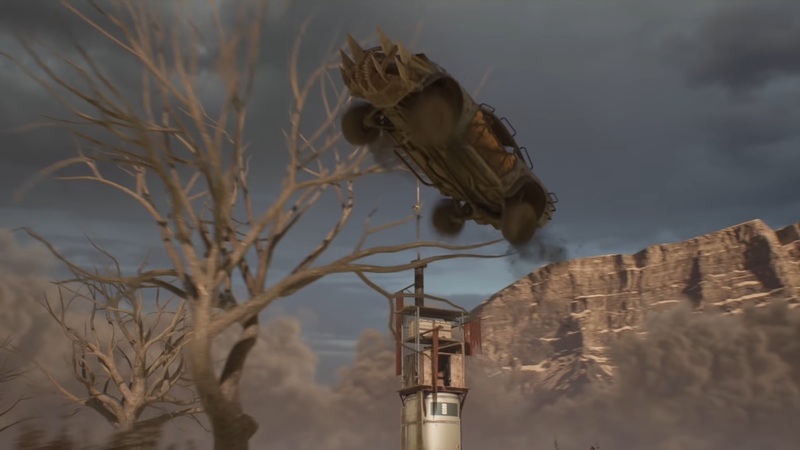 In fact, there isn't much known about the game other than it bears a strong resemblance to Borderlands and Mad Max. That being said, I'm pretty interested. A lot of other battle royale games (such as Ring of Elysium and Last Man Standing) tend to just ape Battlegrounds instead of creating their own defined aesthetic. Fractured Lands, though, looks totally different from the current crop of games. Then again, the Early-Access part kind of has me worried, since this sub-genre tends to be buggy, unpolished and riddled with connectivity issues.